This is very belated, but I’m thankful and honored for the mention over at michaelalexanderchaney.com! Great site, packed with literary advice and reviews. 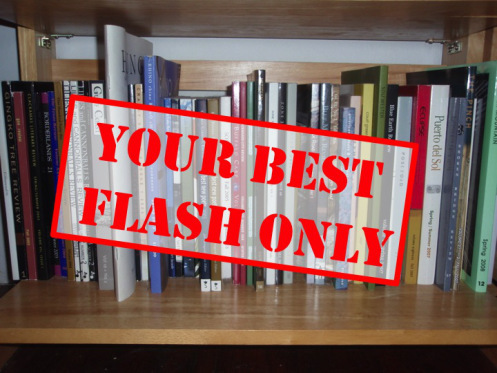 Check out this post for flash publication ideas. The flash markets on this list include the best around. They’re not impossible to break into. Not as much as say, Willow Springs, whose editor informed us recently here on this blog that only one out of a thousand pieces gets picked for publication from the slush pile. One out of a thousand! That’s roughly the same odds as Bono being the next pope, of sneezing with your eyes open, or [ gulp ] of asteroid 1999 RQ36 smashing into Earth. While these magazines are not so apocalyptically stingy with their acceptance, they’re still selective (and I’ve got an asteroid belt of rejections from them in my in-box to prove it). This entry was posted on September 20, 2014, 10:12 pm and is filed under creative writing. You can follow any responses to this entry through RSS 2.0. You can leave a response, or trackback from your own site.